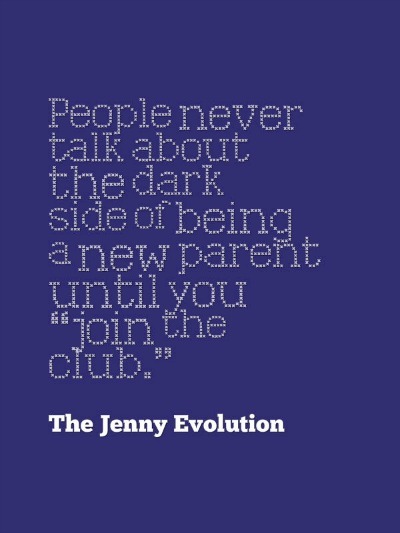 People never talk about the dark side of being a new parent until you “join the club.” Then you’re whacked over the head with so much craziness that you can’t possibly imagine why people didn’t warn you. If I could write a letter to myself as a brand new parent, I wouldn’t talk about the details of pee and poop, sleepless nights or the constant crying (mine included). This is the letter I would write to myself. Hey, Jenny. I know you’re in no mood to hear what I have to say. You feel like a walking zombie taking care of an infant who won’t stop screaming. But hear it you must. You haven’t slept. You haven’t had a break in two months. You haven’t showered. Shoot. You can barely grab a slice of deli turkey from the fridge to eat. Even though the people around you mean well, they really don’t know what to say to make you feel better. They say it’s just a part of being a parent. They don’t know (and neither do you) that your baby screams all the time because he has Sensory Processing Disorder (SPD). Oh, babies cry, they say. Not for hours on end! The best the pediatrician can tell you is your son is colicky… but even this is off the charts. It will take you a couple of years to finally pinpoint what is going on and begin to proactively help him. But I’m not talking about SPD here, which is a whole other layer to the hysteria (read here). I’m talking about the desperation every new mom feels when she brings that baby home. There is an undeniable loneliness that accompanies a first baby, especially when you don’t have your family nearby. But with some distance and time, I’ve been able to figure out what is really the worst part of being a new mom… you don’t know when this phase is going to (if ever!)end! People say parents are so much calmer the second time around. It’s not because they know now how to change a diaper without thinking or take a baby’s temperature (which was a shock to discover). That’s because they have actually experienced the mania you are going through and know this phase will actually end. When you’re in it, it doesn’t matter how many people tell you you will be okay. In the moment, it doesn’t feel like you will make it through this frantic stage, which my husband and I called the 4th Trimester. From our point of view, it was almost like our child just wasn’t ready to be born yet and needed another three months to cook. There is light at the end of the tunnel. You need to mark the time and count down the days on the calendar. Get out the red marker and X out those dates. Knowing that this sheer hysteria will pass by the end of four months will give you the courage and perhaps a little bit of solace to help you hang on and carry on. This post is part of the a blog hop with other blogging moms who are writing about what they wish they knew as a new mom. 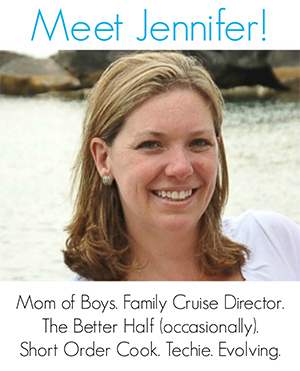 Join in on this blog hop and read some other inspiring writing from moms just like you. What a great letter to new mom you. You’re so right that the hardest part of it all is not knowing when or how it’s ever going to get better. I really identified with the loneliness part as well – we don’t have any family nearby and I remember just walking around my neighborhood for hours looking for moms with new babies. Oh my goodness! We lived in downtown Chicago at the time and I would push that stroller block after block after block just to get outside. Once it snowed and the stroller wouldn’t clear the sidewalks, I just strapped him on I was so desperate to see people! If I were writing myself a letter it would read very similar to this one. I wholeheartedly agree that much of the anxiety I felt as a new mom was due to the fact that I didn’t know when the toughest part would be over. AMEN to THIS. Beautifully said- and so true…every word of it! Every new mom should read a letter like this… I sure wish I had. Thanks, Chris. I wrote this hoping I can pass this on to the next mom… where were our female friends to tell us this when we were freaking out, right? Yes and yes. When you’re in the middle of a phase, there seems to be no endpoint in sight. All new moms need to know that this, too, shall pass. Jennifer, I think that once you get through those first months, you start to realize that everything is a phase. But boy is it a tough lesson to learn. I hope a new mom reads this letter and gets some relief from it. Ahh yes, the haze that a brand new, first time, parent is in. It’s been almost 11 yrs since my first but I remember it well! Thanks for sharing this letter. My firstborn is almost 7 months old, so I feel like I’m just now coming out of that phase. It’s good to know I’m not the only one! You’re absolutely not the only one! I’m sorry you didn’t have this insight sooner (which was a hard one to come by). 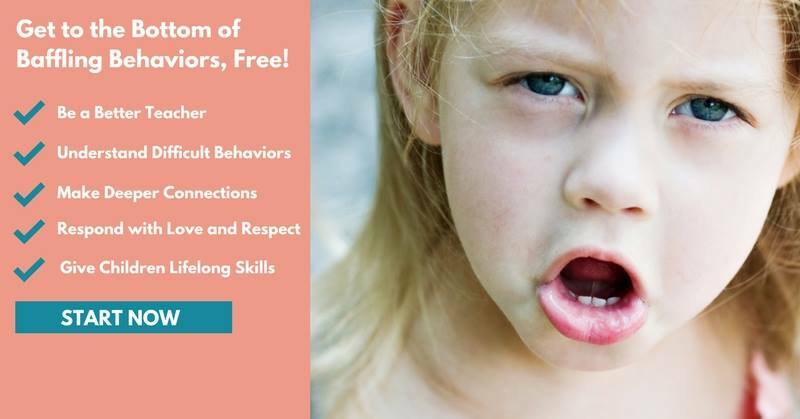 I hope you can pass on this wisdom to a newer mom… why aren’t we talking about this stuff more? 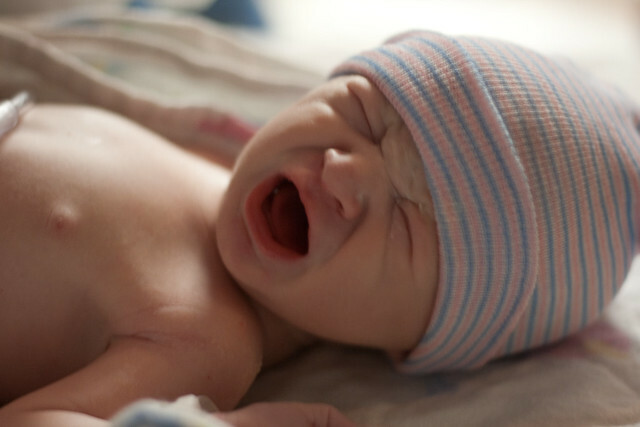 The first three months are very hard when you are new parent… no one can really prepare you for it because it is a little different to each parent and different things cause stress. For me sleepless nights completely rattled me. I also think as the kids continue to get older you get more and more out of that tunnel and get back out in the real world. A good friend of mine once told me that when you have kids you lose half of your personality… mostly from sleep deprevation. As they get older, that half comes back slowly. At the time I thought it was an odd comment but now that my youngest is 5 I see what she was saying. And then you decide that you’ll do it again and have more children, because it is worth it! My mom had 4 and the first was so colicky, but the rest she said was better because she knew it would end someday! Thanks for linking up with the Bloggers Brags Pinterest Party. I have pinned your post to the Bloggers Brags Pinterest Board!